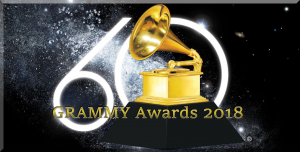 The Recording Academy has announced the first group of artists to perform on this year’s milestone 60th Annual GRAMMY Awards. Taking the stage on Music’s Biggest Night will be current nominee Childish Gambino; GRAMMY winner and current nominee Lady Gaga; GRAMMY winners and current nominees Little Big Town; GRAMMY winner and current nominee P!nk; and, in celebration of the show’s return to New York after 15 years, two-time GRAMMY winner Patti LuPone, who will reprise her 1981 GRAMMY performance of “Don’t Cry For Me Argentina,” and “Dear Evan Hansen’s” currently nominated Ben Platt, performing a classic from “West Side Story” in a special Broadway tribute honoring the music of Andrew Lloyd Webber and Leonard Bernstein. Making his GRAMMY stage debut, Childish Gambino is currently nominated for five GRAMMY Awards: Album Of The Year and Best Urban Contemporary Album (“Awaken, My Love!“); and Record Of The Year, Best R&B Song, and Best Traditional R&B Performance (“Redbone”). Set to perform a track from her GRAMMY-nominated album, Joanne (Best Pop Vocal Album), six-time GRAMMY winner Lady Gaga is also nominated for Best Pop Solo Performance (“Million Reasons”). Two-time GRAMMY winners Little Big Town are nominated for Best Country Album (The Breaker) and Best Country Duo/Group Performance (“Better Man”). Three-time GRAMMY winner P!nk is nominated in the Best Pop Solo Performance category for “What About Us.” First-time nominee Ben Platt is up for Best Musical Theater Album (Dear Evan Hansen). pre-ordered the 2018 GRAMMY Nominees album? If not, the newly revealed 21-deep track listing should give you some extra incentive. Dropping Jan. 12th, 2018, the new collection commemorating the 60th GRAMMY Awardsnominees features 21 hits from the world’s top recording artists and emerging talent, including Album Of The Year nominees Childish Gambino, Jay-Z, Kendrick Lamar, Lorde, and Bruno Mars; and Song Of The Year nominees Luis Fonsi & Daddy Yankee featuring Justin Bieber, Logic featuring Alessia Cara and Khalid, and Julia Michaels, among others.